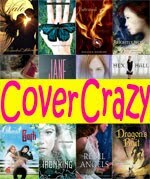 Even More Enchanted Chocolate Pot Blog Fest! More Enchanted Chocolate Pot Blog Fest! The Enchanted Chocolate Pot Blog Fest! Ok, maybe fabulous is a word with a little too much sparkle connotation, because these vampires? So do NOT sparkle! They don't sip your jugular with chic poise. They don't talk about breaking with tradition to be a human's one and only. They don't even engage in sarcastic flirt-banter. No, when these vampires scent human blood, they pretty much turn into a cross between zombies, piranhas, and me at an all you can eat pastry buffet. But with all the delicate finesse of medieval torture methods (drawing and quartering, anyone?). Which is all to say that "fabulous" doesn't exactly covey the right message. But, hey, I like gore (unless it's in a movie because then I'm too squeamish to watch), and Andrew Fukuda definitely delivered on the ick factor. 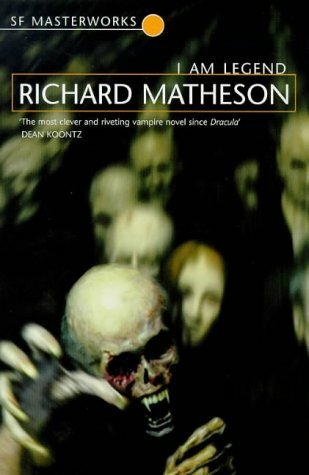 Plus, it was nice to read a book about dangerous vampires when the vampires are, you know, actually dangerous for a change. "For fans of The Hunger Games"
Oh barf, did I just go there? Look, I know it's a pretty lame marketing gimmick to pull the whole "THE NEXT HARRY POTTER!" or "FOR FANS OF TWILIGHT!" because, really, they're usually pretty big stretches, but I can't help myself this time. I mentioned this already in my mailbox, but it bears repeating: If I am Legend had a sequel and that sequel had a baby with The Hunger Games the result of that glorious union would be The Hunt. Gene is a human trying to dupe everyone into believing he's a vampire in a world where humans are thought to be extinct (because the vampires ate them all). In some ways, the vampires do look like humans. But in more ways than not, they're totally different (and I'm not just referring to the maniacal feeding frenzies). Oh Edward, let's make out! All of this made me think of I am Legend (the great book, NOT the comparatively crappy Will Smith movie or the good but very different from the book Charlton Heston movie, or the other one I disliked so much I won't even mention). It made me wonder what life might have been like for Robert Neville (I am Legend) if he had went the incognito route instead of the bunker route. I was fascinated with the mental exercise of imagining this life Gene was leading and all of the painstaking steps he needed to take in order to blend not just physiologically, but also culturally. I'm such an impatient reader, and really, not much happens at all for a good long while. Normally I'd be complaining right now about how I had to wait almost 200 pages before the action even kicks in and the hunt itself doesn't even start until after page 220. In a book that's only 293 pages long, normally I'd be pissed, or at least totally bored. But I wasn't either. I was enthralled. It's like how in The Hunger Games where you have to read through pages and pages and pages before the games even begin. But instead of being boring series stretching filler, the pages are actually filled with really fascinating stuff. The Hunt is like that. Plus, there's the actual, you know, HUNT, which is also similar to the idea of the games, but twisted. I can't say much more without giving stuff away, but think more along the mutt dogs end of things and a whole lot less sweet Peeta moments (there really is only the very tiny beginnings of romance, even though the blurb makes it seem like it's more of a focus). The whole beginning let me get into Gene's head and really appreciate how utterly horrifying life must be like for him. I don't think I could have done what he did. I had thought Cormac McCarthy's The Road was the ultimate literary example of Hell on Earth, but Gene's life in The Hunt might take the title. At first the vampires seemed pretty similar to humans, but the more time I spent as a fly on the wall in Gene's world, the more I realized how very different they are. The stroke of genius is that Andrew Fukuda didn't just focus on the big differences (like the whole devouring humans thing—though he does describe their blood lust in terrifying, disgusting, awesome detail). Just as much time is spent developing the little things like tiny behavioral tics, social mores, and emotional expression. He makes his vampires very similar to humans, but then skews them so they're all slightly off. It was...unsettling. As much as I love it when an author throws me into the action right away, I think that would have cheapened The Hunt. It would have been just another action book about battling evil paranormals, and while that's nice, it doesn't exactly set itself apart as something more. It also wouldn't have been anywhere close to scary, and The Hunt? SO FREAKING SCARY! 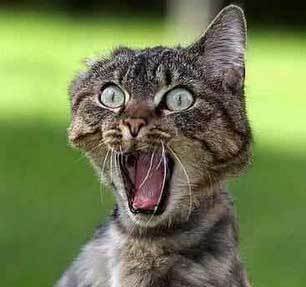 Have you ever watched a scary movie where you know something terrifying is about to happen but the director drags it out with the creepy music and the made-you-looks but you just know it's all winding up for something so frightening you're going to sleep with the lights on for the next week? And the longer it takes for the Big Event to happen, the more wound up and tense you get? And you're practically peeing your pants in fear from all that build up and anticipation even though nothing all that scary has even happened yet? Yep, that's pretty much what I had going on with The Hunt. Look, I knew there was a cliffhanger when I started this. And I knew, based on how things were shaping up and how few pages were left, that I would be left hanging at a pretty exciting point. But I was so NOT prepared for what actually happened. It wasn't like I got left hanging in the middle of a bunch of action. It wasn't even like that Vampire Diaries episode where one of my favorite characters was shot and then the episode ENDED RIGHT THERE. No, this was all that, plus a HUGE BOMB WAS DROPPED and then the book ended! No character reaction, nothing. Just BOMB, The End! I never appreciated how much closure that scream actually gives. 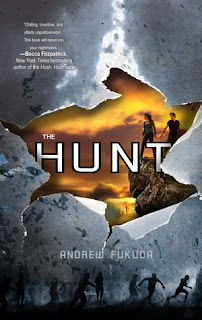 But, ack, I don't know, it was so good and such a perfect point to end things because it was like that last final kick in the gut that really punctuated how emotionally gripping and awesome The Hunt really is, but, but, oh man, how can you do this to me Andrew Fukuda?!?! The Hunt is also like The Hunger Games in that it is very much part one of a story. Because of that, I'm holding off Special Shelf judgment until I read the entire story arc. If the rest of the series stays a the level of this first installment, though, then this will totally be a Special Shelf series. This is the kind of serious YA that I could totally hand to an adult reader and not get "the weird look" (and, I WILL be handing this to a few of my adult library patrons who like The Hunger Games). I don't exactly want to hug this book or sleep with it under my pillow at night, but that's mostly because it's a creepy, scary read and so not quite the hug-inducing type. But, I will be buying a copy for myself and ordering another for my library. I am most definitely continuing on with the series, but not only because of the killer cliffhanger (you didn't have to manipulate me like that Andrew Fukuda! I was already obsessively seeking out sequel info by chapter two). The sequel promises all sorts of gory, pulse-pounding action, and I am ALWAYS on board for that! Do you have any questions about The Hunt that I haven't addressed? The Hunt releases today, so NO MORE WAITING! Wow, Small. I'd never heard of this book before tonight, but now I'm itching to pick it up. Thanks for this great review! Oh I can't wait to hear what you think of it! Special shelf potential?!?!? Sign me up, yo! Lol. Actually, this review comes at a very good time for me, because I was determining whether to read this book next or Struck by Jennifer Bosworth, since they're both being released today. You just sold me on this one though! Oh, you didn't like The Immortal Rules? I'm reading it now and I'm having a hard time feeling it. One of the biggest blocks for me is that it just doesn't feel real. But The Hunt felt totally real and believable. I don't love this new cover either. I like the old one better It had more of a sense of suspense, I thought. Bleaker than The Road? Oh no..
Hehe, well, bleaker in a slightly different way. In The Road, it felt like constant grim drudgery. Like just barely clinging onto life, and to no purpose. But The Hunt is more like tense peril. I think I'd be more scared living in the world of The Hunt, because at least in The Road they could be themselves even if the world was horrible. In The Hunt, Gene can't even sweat or smile without worrying about getting devoured! oOOOo!!! !Wasn't this an awesome and thrilling ride!! ILOVED your review so much!! I just read two reviews who didn't like this one so much so I wsa happy to see you loving it as much as I did!!!!!! Yes yes yes! I loved your review too!! I am so happy we are aligned on this one. I'm totally extending you a sleepover party invite so we can gush together about this book! "He makes his vampires very similar to humans, but then skews them so they're all slightly off. It was...unsettling." PERFECT. Unsettling. Exactly. And the tension. I got that too. I reviewed this one today too -- and I loved it. Holy crap, it's bleaker than "The Road"?! This sounds like a perfect Halloween read. I will confess I'm a scaredy cat and tend to not sleep at all if I read a true horror book. Your review hooked me and I'm going to attempt to read it. It may just end up in my freezer longer than in my hands. LOL! I want this audio soooo bad. Thanks for the review. What? Color me shocked. I totally misjudged. I started this book a while ago and totally lost interest. But I'm add your review to the growing list of glowing ones I've read for TH, and I'm definitely going to give it another go. Plus, I loved I Am Legend - for it's gory vampires! Have you read The Passage? Seems like The Hunt might be the YA version of it. I think you'll like this one, Missy. Especially given how munch you like I am Legend. I haven't read The Passage, but it's funny because someone just recommended it to me a few weeks ago&mdashguess I'll have to pick it up sometime! I'm so excited for this book. Awesome review! This definitely sounds like a perfect read! I love scary books and I've heard this one has some gore to it! Definitely need to pick this one up soon! Ok. So. Reading this VERY SOON. Thanks for your fantastical review! You should just go and purge the Will Smith version from your mind :P The book is TOTALLY different. The Road isn't a zombie book, but it is very much worth reading. 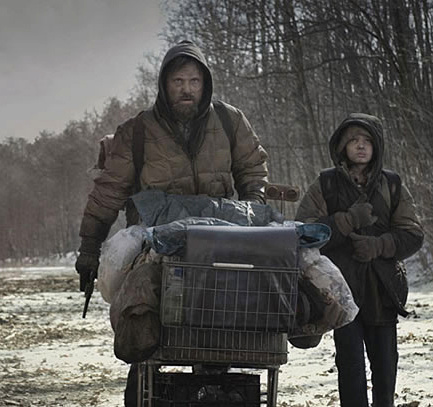 It's so harsh and bleak and not particularly action packed, but the relationship between the man and his son is beautiful. Great review! I loved this one as well. Small, I've seen mixed reviews for this one but you've convinced me to give it a try. If humans are supposedly extinct though, what are the vampires feeding on? Oh, and how has Gene managed to pull off becoming a vampire without engaging in any sort of blood drinking? So many questions ... guess I'll have to read the book to find out the answers, right? I'm curious now that you pointed out some similarities to I Am Legend... loooved that story and I'm curious for this one. Maybe I'm a masochist, but I really want to know what the cliffhanger is that everyone keeps talking about it. p.s. 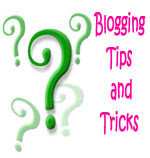 thanks for all the tips for new bloggers! I am one and they have really helped me out! Woah! I've read mixed reviews about this one, so I'm still not sure. But your review's got me excited and I might, might, might pic it up! Yes, but what about the armpit/elbow scene? 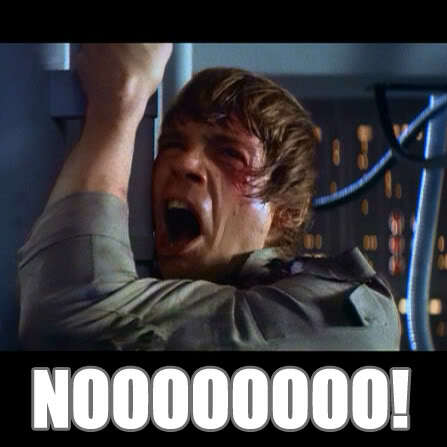 I just listened to that bit.mmore alter, once I've finished. I LOVED THIS BOOK! And your hilarious review! I found the beginning lacking a little, but it was sooo worth it once everything got going. 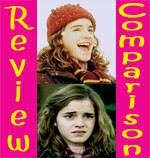 Such an accurate review! And I love your analysis of the love child of I am legend and hunger games. SO TRUE! PS: You've already made me purchase The False Prince! :-) How many more will it be this year??? Okay...I have to read this! I had no idea it was about vampires. Sounds very fun, intense and exciting. Great review!